Howard Martin brings more than thirty years of experience in business and personal development to the position of Executive Vice President, Strategic Development. Howard’s responsibilities include global alliances, marketing, and program and product development. Howard has been instrumental in assisting Doc Childre in the development and teaching of HeartMath’s programs since its inception. 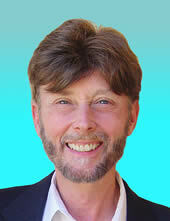 Howard is co-author with Doc Childre of The HeartMath Solution, published in 2000 by Harper San Francisco. He also developed Nightingale-Conant’s tape series, “The HeartMath Method.” Howard is a dynamic speaker, and has delivered hundreds of workshops and keynote addresses to audiences ranging from corporations, to the armed forces, to educators, families, and human service providers. As a key spokesperson for HeartMath, he has conducted hundreds of media interviews. His appearances include CNN Headline News, U.P.I. Radio network, WNBC-TV-New York, WGN-TV-Chicago, Discovery Channel-Beyond 2000, CBN/Canada, New Women, Muscle and Fitness, San Francisco Chronicle, Billboard, and the Boston Globe.